It took 14 trades for a 26 year old man to miraculously turn a red paper clip into a house. His final trade, a paid role in a movie for a double storey farmhouse. The Montreal man didn’t have a job so instead of finding one, he used an internet website to trade a red paperclip. Almost immediately, a pair of young women traded him a pen that looks like a fish. 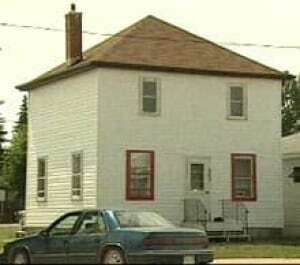 The town of Kipling, Sask., offered MacDonald a farmhouse in exchange for the role in the movie. “We are going to show them the house, give them the keys to the house and give them the key to the town and just have some fun,” said Pat Jackson, mayor of Kipling. The town is going to hold a competition for the movie role.